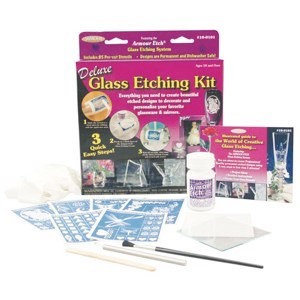 Learn how to safely use Armour Etch Cream and Rub 'n' Etch Stencils to create fabulous etched glass for all occasions. Check out this fully loaded kit, and some of the great craft projects you can enjoy with your family. 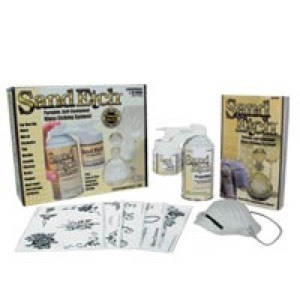 Now with the revolutionary product you can get a professional looking sand blasted project in the comfort of your home. 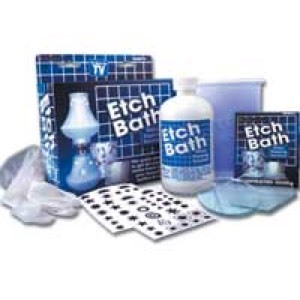 You can fully frost your favorite piece of glass, bottle or jar using Armour Etch Bath. 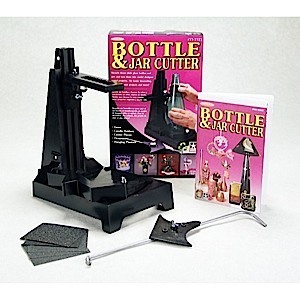 Learn how to recycling all those glass bottles and jars using the Bottle& Jar Cutter. Peel 'N' Etch stencils are thick vinyl stencils can be sandblasted and make beauty full cabinet doors or use on any other large glass surface. Learn how to create custom stencils using your own patterns.